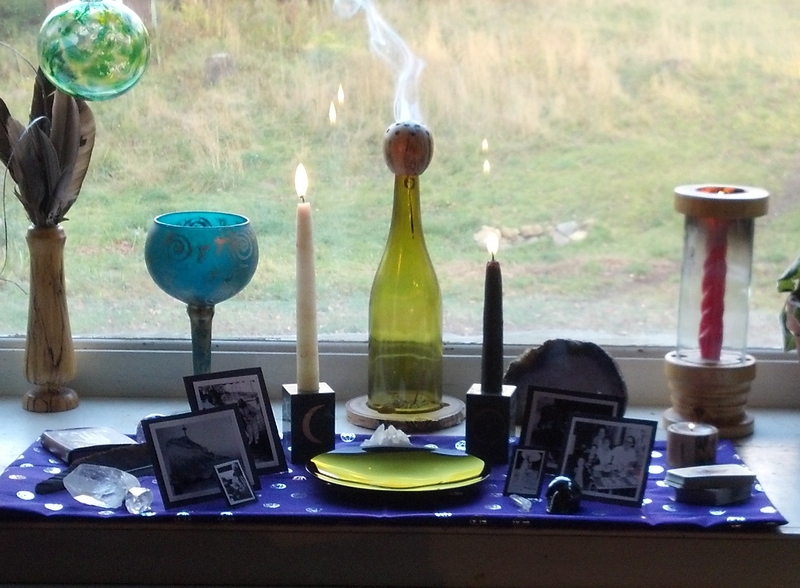 My ancestor altar for Samhain 2013. I can feel the veil thinning as we approach Samhain. I find myself blessed with new insights, strange dreams and resurfacing memories. While I love to indulge in the fun parts of Halloween, especially costumes and candy, I also try not to lose touch with the deeper meaning of this time of the year. My family altar honors our loved ones who have passed, including some special pets. I’ve also laid out some divination tools to encourage messages from the other side. 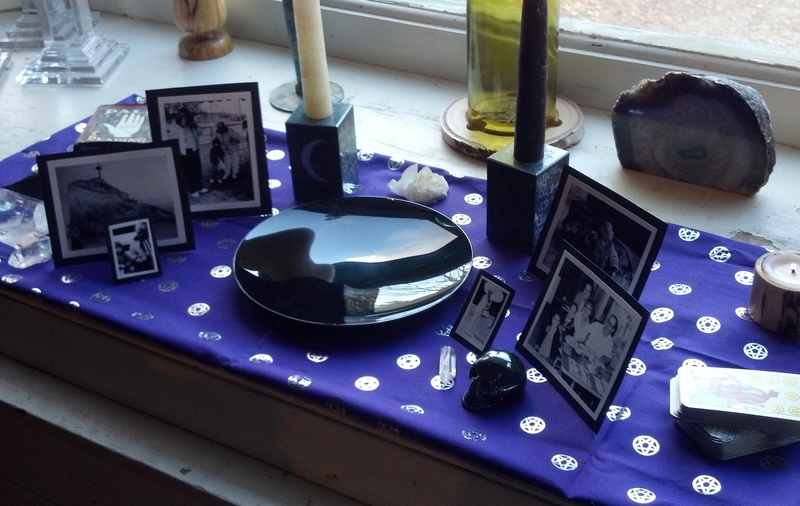 At Samhain, practice divination and connect with those who have passed.